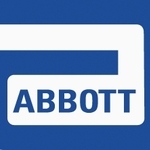 Abbott Laboratories is a health care and pharmaceutical products manufacturing company. Dr. Wallace Kelvin Abbott established this organization in the year 1888 and then the company was known as Abbott Alkaloidal Company. The year 1985 is remarkable for this organization as the owners first developed HIV blood test and screening facility in that year. Record says that at present approximately 90, 000 employees (both full time and part time) are now working in this organization. Headquarter of the organization is in Abbott Park, Chicago (North Illinois). Some of the popular products manufactured by the company are ankylosing, Norvir, Humiare and many others. There are currently 0 consumer reviews about Abbott Laboratories available. Share your review. Please take a note that you are about to post a public review about Abbott Laboratories corporate office on CorporateOffice.com. This review will be public, so please do not post any of your personal information on this website. If you would like to contact the corporate offices of Abbott Laboratories, please use their contact information such as their phone number, website, and address listed above to contact them. However, sometimes staff from Abbott Laboratories headquarters do read the reviews on this website.